A tragic death in 1944 sends ghostly ripples down the years ensuring that the truth will eventually surface, whatever the cost. A supernatural drama telling the story of three different families living in the same house in 1968, 1987 and the present day, linked by the spirit of the young daughter of the 1960s family, who drowned in mysterious circumstances. A two-part drama about the search for missing Yorkshire schoolgirl Shannon Matthews in 2008. In 1944, the seventeen year-old Lucy (Antonia Clarke) is the pride and joy of her father Albert Felwood (Sam Hazeldine) and they live with her mother Martha Felwood (Jill Halfpenny) and her brother Pip in Lightfields Farm. Lucy befriends the worker Eve (Dakota Blue Richards) and they become best friends. Lucy has a love affair with the American airman Dwight Lawson (Neil Jackson) that dated Eve and she dies burnt in the barn where they met each other. In 1975, the aspirant writer Vivien Mullen (Lucy Cohu) comes from London with her seventeen year-old daughter Clare Mullen (Karla Crome) to Lightfields Farm with the intention of writing a novel, but she is haunted by the ghost of Lucy. In 2012, Lorna Felwood (Sophie Thompson) and her husband Barry Felwood (Danny Webb) raise their grandson Luke and welcome Barry´s father Pip Felwood (Michael Byrne) in Lightfields Farm. Soon Luke is haunted by the ghost of Lucy and Pip believes she is seeking revenge against him. 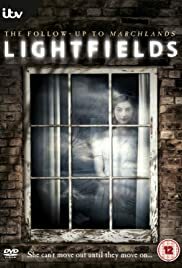 "Lightfields" is a melancholic ghost story with an intriguing mystery. The screenplay keeps the mystery until the last episode but it is difficult to understand why the ghost of Lucy has not communicated in a more objective way since she is capable to write. The screenplay is well written entwining three storylines and keeping the mystery of who killed Lucy until the last episode. My vote is eight.